For those of you who are not familiar with Fentanyl, it’s a synthetic opioid that is intended to be used as an acute pain reliever in place of morphine. The big difference is that it is typically listed as being between 50 and 100 times more powerful. How powerful, a single grain of Fentanyl the size of a grain of sand is enough to give a person a heroin-like high. Two grains this size is enough to kill a healthy adult. When used in a hospital setting, the dose is administered via a patch over 48 to 72 hours. On the street, this crystalline powder is typically mixed with other drugs such as ecstasy to achieve specific results. The extreme potency of this drug is what Fentanyl abusers seek out and what makes it so dangerous. Over 49,000 people died of Fentanyl overdose in the U.S. in 2017, and the epidemic is only getting worse. How Did the Fentanyl Crisis Start? One of the largest reasons behind the Fentanyl crisis is the fact that this drug is so cheap to manufacture. Add to this the fact that the vast majority of it comes from China in small shipments that are virtually impossible to catch on their way through customs. At current prices, one-kilo of Fentanyl sells on the black market for approximately $20,000, but by the time it hits the streets, that same kilo is worth $20 million. Another major source is the number of physicians who have been over-prescribing pain medications for decades. Many gave patients open-ended refills that led to significant abuse and a thriving market for leftover medications and duplicate prescriptions. Then there is the government who still seems to be sitting on their hindquarters instead of coming up with a successful plan to open more treatment centers and safe injection sites rather than clogging up the prison system, which does no good whatsoever. First and foremost, due to the methods used by importers, customs agents have a tough time detecting the shipments due to the vast quantities of shipments coming into the U.S. from China. With prison overcrowding already pushing prisons past the point at which their seams are bursting, ineffective sentencing laws have done very little to discourage the black market. With the number of suppliers steadily increasing, finding a new source and setting up business has never been easier. Making it almost impossible for Law Enforcement Officers to stay on top of the growing number of dealers. Merely handling Fentanyl can be dangerous as the many officers who have been hospitalized because of it. To make matters worse, an officer never knows when they will encounter the drug or under what circumstances. 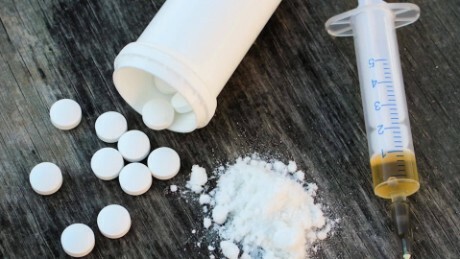 Is There a Solution to the Fentanyl Crisis? The key to solving the Fentanyl crisis lies in education. Law Enforcement Officers need to be taught more about community policing and harm reduction. At the same time, making sure officers have access to Naloxone in their drug testing kits is a good step in the right direction. 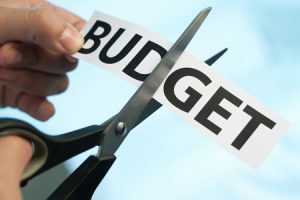 But, it takes long-term efforts like cutting back on the number of prescriptions written for these drugs, increasing the number of prescription fraud investigations, and increased funding for safe injection sites, and addiction counseling are all long-term strategies for reducing the Fentanyl crisis. 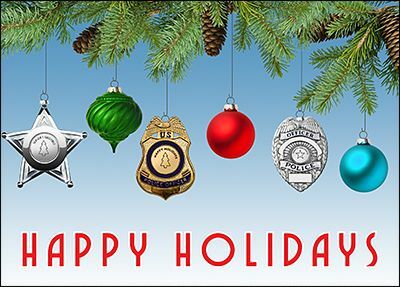 In order to give our staff time to spend with their families during the holiday season, Privacy for Cops will be closed December 25, 2018 and January 1, 2019. Beginning December 24, 2018 to January 2, 2019, support options will be limited. We appreciate your patience during this time. Happy Holidays! 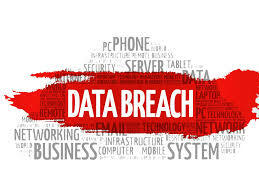 Do You Know What to Do If You Are Caught in a Data Breach? What you need to do to protect yourself is all a matter of what type of personal information was accessed during the breach. If the breach occurred at a banking institute, federal law requires everyone affected be notified of the breach and what information was stolen. In the event of the breach occurring at a major company, only 46 states have laws requiring them to notify you. It is not uncommon for a number of “phishing” scams to pop up immediately following the announcement of a data breach. Never click on links in emails, even if they look real. Always visit the company’s website and follow the instructions listed there if any. If the breach included accessing your passwords (or for that matter even if it didn’t,” now is the perfect time to change all your passwords, even those that may not have been directly affected just to be on the safe side. Keep a close eye on your email inbox. If you get emails requesting you divulge personal information or click on a link. Delete these immediately. If you receive a suspicious email from a company you are used to dealing with, call them for verification. If the loss includes your credit card information, be sure to contact your credit card companies and ask for new cards to be sent to you with new numbers. Some lenders will do this automatically, but it is up to you to protect yourself. Also, worth noting, is that since it was just the number that was stolen, under the Fair Credit Billing Act, you are not responsible for any authorized purchases. Under the same act, you are not liable for any purchases made with your debit card following the theft, providing you report the loss within 60 days. At the same time go ahead and have your bank cancel the cards and issue you new ones. Talk to your bank about using a verbal password to access your account to keep thieves out. More damage can be done by identity thieves with your social security number than anything else. You only have to contact one of the three major credit reporting agencies to have them put an alert on your account. By law, they have to tell the other two. The alert will be seen by lenders who know to take extra precautions and steps to ensure it is really you they are dealing with. These are the most important steps you can take to protect yourself should your information be part of a data breach. Be proactive by keeping an eye on your credit report. You are entitled to one free printed copy from each of the three major credit reporting agencies each year. Some credit cards like Discovery now let you check your FICO score any time you want, others like Credit Karma let you see what’s on your report at any time. For law enforcement officers, trying to identify suspects on the street can be challenging. It is far too easy for a person to give a false name and other forms of misinformation. While out on the street, officers lack the same access to resources they can use to help identify the person. This forces officers to rely on nothing more than a driver’s license or state issued ID may or may not be reliable. There is any number of reasons why an officer might need to be able to positively identify a person on the street. Perhaps there was an incident nearby or a terrorist alert, or any one of many other criminal activities. Of course, officers all start with the same method of identification. They ask a number of standard questions such as name, address, and so forth as a means to identify them. At the same time, it gives the officer time to assess the person and how far they need to go with the identification process. There is, of course, no way in which to determine whether the person who is being questioned is presenting a false name and ID. It is far too easy for a criminal to produce a perfect facsimile of virtually any form of identification capable of fooling the average officer on the street. This makes the whole concept of using an ID card as a valid form of identification somewhat antiquated. Plus, you have the issue of those who for one reason or another are not carrying the ID with them. Mobile bio-metric equipment is nothing new; it has been in use in smartphones, tablets, and laptops for several years. 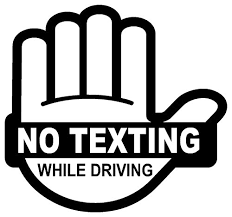 In fact, the use of this technology has been an essential security feature in devices such as these and more. These mobile devices look a lot like something that belongs on the Starship Enterprise, yet they offer today’s law enforcement officers a chance to obtain a more accurate positive ID for anyone they stop and question. These devices allow officers direct access to the national fingerprint database where millions of fingerprints are stored digitally. While identifying a suspect in the field has always been a problem for law enforcement officers, with so many suspects willing to lie about who they are, those days might finally be coming to an end. 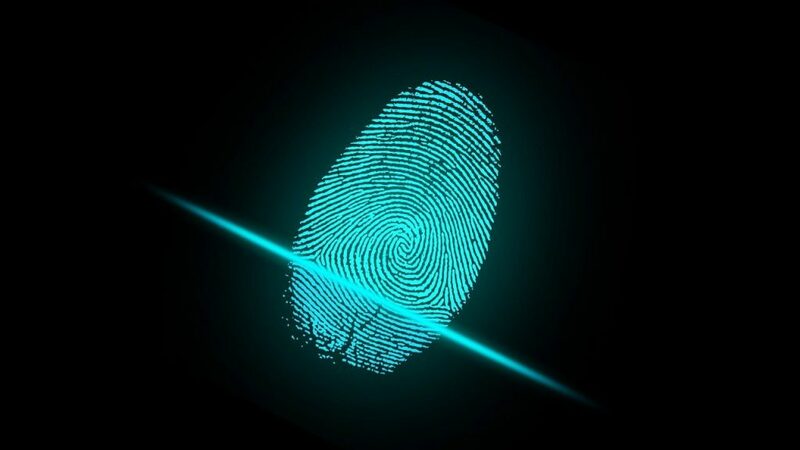 The latest in mobile fingerprint scanning devices bring all of the benefits of being in the office, and all the equipment police officers have access to with them out into the field. The net result is these devices make it far easier for officers to identify every person they stop accurately. More importantly, these devices make the entire process go far more quickly, reducing the amount of time it takes to positively ID the person and allowing the officer to release them or complete the arrest and get back to keeping their respective communities safe. Picture this, you’re sitting at home on the computer working on a report, and a window pops up with a reminder that there is a software update available. Without a thought, you click the “not now” or “remind me later” button and carry on. You say to yourself, “I’ll get to it later!” The problem is that you never seem to get back to it. 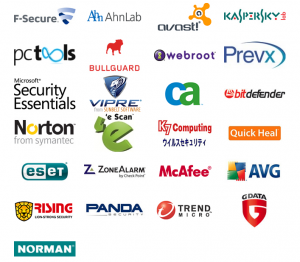 But keeping your antivirus and antispyware software needs to be kept up to date. For example, recently the credit reporting company Equifax suffered a massive data breach that left personal information such as that listed above for approximately 143 million people open to hackers. The hackers made use of web application Equifax was using that had a known vulnerability to access the data. A fix had been published that would have eliminated the possibility of this particular hack being successful and obtaining so much data. However, for whatever reason, the update was not installed. Talk about a hard way to learn your lesson, but at least the rest of us can learn a lot from their mistake. No matter what type of software you have on your computer when an update comes out, you should probably install it. There is more to most software updates than security fixes; many contain new features or updates to existing features. Each update is designed to enhance overall user experience by removing outdated features, and in some cases speeding up overall operation by reducing the load placed on the system. Keeping your computer and everything is safe from hackers is your job, and it should be your priority. By protecting your data, you are adding yet another layer of protection for your entire family. Police across the country have been getting a lot of attention for incidences involving minorities and “marginalized” people. While no doubt, much of it is well-deserved, the report noted that perhaps it was time that law enforcement “re-branded” itself. 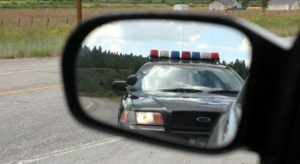 In other words, while the inevitable rough spots are going to occur, law enforcement needs to work to re-establish their reputation as being the “good guys” so when something does happen, it is not an immediate black-eye on the rest of law enforcement. Another issue LEOs are dealing with is the constant litany of claims of racism that seem to never quite add up. The problem with the majority of reports claiming systemic racism fail to take into account that the number of minorities involved in contact with the police tends to go up in areas where the number of crimes being reported is highest in minority communities. Leaders of the law enforcement community understand something that most political leaders and economic development leaders seem to have no comprehension of. They fail to realize that in order for their communities to grow, they need to be able to offer interested parties a safe community to build their businesses in and for their employees to live in. When political leaders bow to the pressure from anti-police activists to cut law enforcement budgets, doing so will have a direct impact on everyone’s quality of life and the health of every community. There is an old adage that goes, “When we do good, no one remembers. But, when we do bad, no one forgets.” Never has this been truer than in the world of law enforcement. Rather than looking at the many things police officers are doing that are successfully reducing crime such as “stop and frisk” reducing the number of guns on the street, all the activists see, is police officers violating a person’s civil liberties. 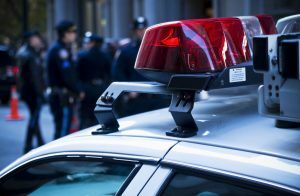 This despite the fact an LEO must follow very strict guidelines in order to “stop and frisk.” Even though overall crime rates in the U.S. are steadily declining, law enforcement still doesn’t get any credit for their hard work and dedication. Sufficient funding to invest in new technologies and science to help predict and solve crime could help reduce repeat offenders and put the guilty where they belong. New technologies could help improve how physical evidence is processed. Many of those in attendance also stated their wish that the Department of Justice stop being such a political organization and become more involved in helping law enforcement succeed all the way down to the cop on the beat. In doing so, perhaps more attention and money might become available for training and equipment.